Mathematical folklore contains a story about how Acta Quandalia published a paper proving that all partially uniform k-quandles had the Cosell property, and then a few months later published another paper proving that no partially uniform k-quandles had the Cosell property. And in fact, goes the story, both theorems were quite true, which put a sudden end to the investigation of partially uniform k-quandles. 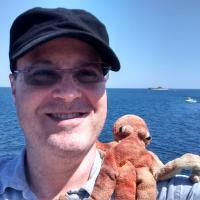 Except of course it wasn't Acta Quandalia (which would never commit such a silly error) and it didn't concern k-quandles; it was some unspecified journal, and it concerned some property of some sort of topological space, and that was the end of the investigation of those topological spaces. This would not qualify as a major screwup under my definition in the original article, since the theorems are true, but it certainly would have been rather embarrassing. 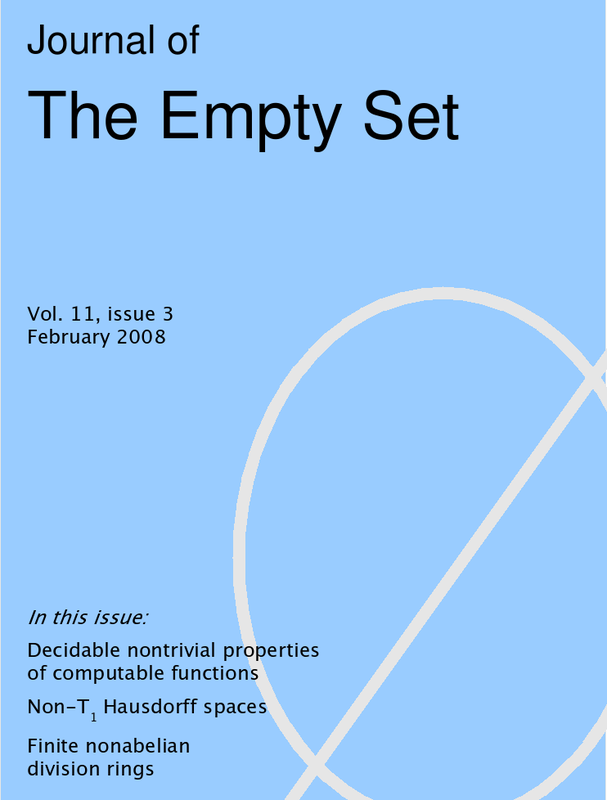 Journals are not supposed to publish papers about the properties of the empty set. Hmm, there's a thought. How about a Journal of the Properties of the Empty Set? The editors would never be at a loss for material. And the cover almost designs itself. Handsome, isn't it? I See A Great Need! Ahem. Anyway, if the folklore in question is true, I suppose the mathematicians involved might have felt proud rather than ashamed, since they could now boast of having completely solved the problem of partially uniform k-quandles. But on the other hand, suppose you had been granted a doctorate on the strength of your thesis on the properties of objects from some class which was subsequently shown to be empty. Wouldn't you feel at least a bit like a fraud? Is this story true? Are there any examples? Please help me, gentle readers.